We create dialogue & build community through contemporary art. Rochester Contemporary Art Center (RoCo) is a venue for the exchange of ideas and a not-for-profit 501(c)(3) that was founded in 1977. 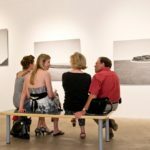 As a center for thoughtful contemporary art, RoCo provides unique encounters for audiences and extraordinary opportunities for artists. Offers thoughtful contemporary art programming of all disciplines. Presents the work of both renowned and emerging artists from New York State and beyond. Provides exhibition, educational and networking opportunities for artists. Actively seeks unique voices and new audiences from diverse backgrounds. Initiated and administers First Friday Citywide Gallery Night for the City of Rochester. Fosters collaborative partnerships with other arts organizations and artists. 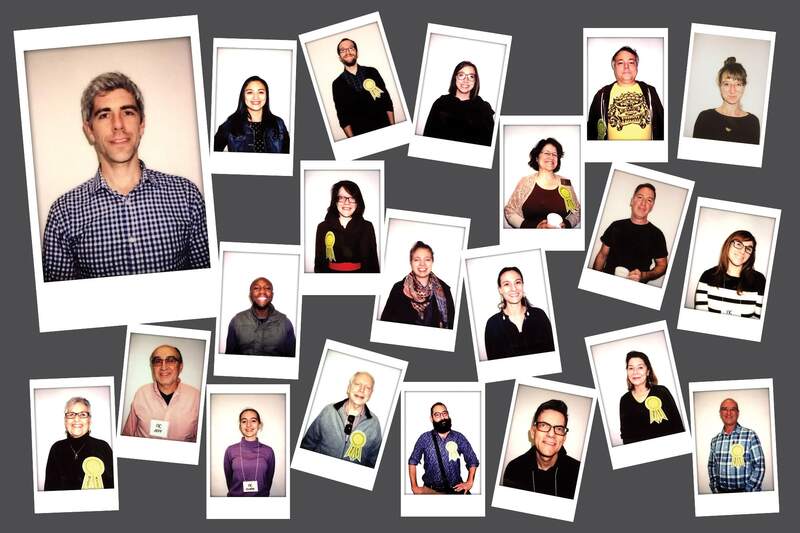 Builds community by bringing artists, patrons, students, teachers and enthusiasts together. Is a gathering place for artists, audiences, and the local community. Is a neighborhood anchor for artistic activity and unique encounters in downtown Rochester. On behalf of our staff and volunteers, it is my pleasure to welcome you. Over the last four decades, RoCo has grown from a small 300sq. ft. storefront to our Downtown location on East Avenue. We've exhibited and supported thousands of artists of all disciplines, played a significant role in the 'artist-run space' movement of the 70s & 80s, and partnered with many organizations to help grow the art community in our region. I am honored to serve as director of an organization with such a rich history and an important place in the New York State art community. I work with an amazingly dedicated team. We're all committed to developing programs and collaborations, supporting the creation of original artworks, bringing new artists to Rochester, and increasing RoCo’s long-term capacity. As we celebrate our 40th Anniversary season, and the important milestone of 1,000 members for the first time ever, I hope you'll join us. 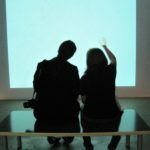 Please consider becoming a member and helping us advance contemporary art in downtown Rochester. Wednesday - Sunday 12 - 5pm / Friday 12 - 9pm. Visit us on First Friday! Street parking is free on weekends & after 6pm. Or use the East End Garage. Our main gallery is fully wheelchair accessible. Bags/backpacks can damage art. You may be asked to leave your bag at the front desk. In 1977, a small group of artists led by Tony Petracca, John Kavanaugh and Albert Robbins joined together to exhibit their artwork, present an alternative to museums and commercial galleries, and expand the cultural offerings in the region. Early on, the crew faced considerable obstacles. Only days after the grand opening there was a significant fire that left the small Monroe Ave. storefront and many artworks damaged. Fundraisers were held and walls were rebuilt. Thanks to the perseverance of the founders and their fellow artists, the Rochester art community has been the beneficiary ever since. After formalizing the organization began to receive New York State and foundation funding and soon began to play a significant role in the artist-run space movement of the era. Still there was uncertainty and challenges. The Culture Wars and shifting foundation priorities altered the funding landscape. Through the decades and several different locations, RoCo’s individual members have provided a stable base for the organization. 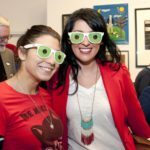 This significant community support has enabled RoCo to survive and thrive when other small art centers have struggled and even closed their doors. In recent years RoCo’s membership and stature has grown significantly. Now as we celebrate our 40th Anniversary, we've achieved outright ownership of our facility and are approaching 1,000 members for the first time in the organization’s history. 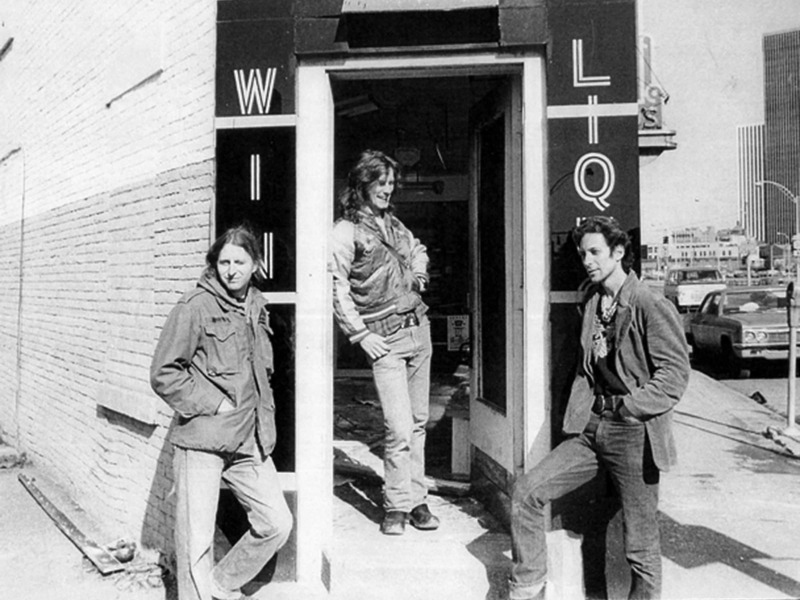 Albert Robbins, John Kavanaugh, and Tony Petracca outside the original Pyramid Gallery on Monroe Avenue. A small group of artists joined together to exhibit their artwork and expand the cultural offerings in the region. After several moves, we relocated to the 3rd floor of Rochester's urban mall in the Neighborhood of the Arts. We rebranded and moved into our current location in downtown Rochester's East End neighborhood. Thanks to the support of over 400 donors, we paid off our building! Learn about 137 East Avenue. Written by Landmark Society of WNY. Erected in 1924 by developer John J. MacMaster, the two-story building was designed “to be equal in attractiveness to the up-to-date Fifth avenue shops in New York city,” according to a contemporary newspaper story. 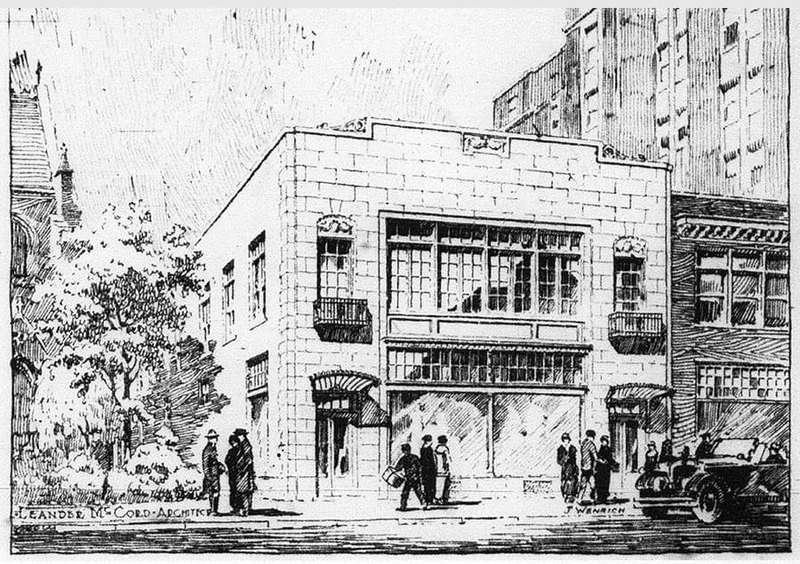 1924 | 137 East Avenue as envisioned by J. Wenrich for Leander McCord, Architect. We're looking for energetic, friendly, and skilled individuals who are enthusiastic about contemporary art. 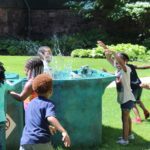 Volunteers will help out with a variety of project including administrative work, art installation, distributing information, and organizing events. We aim to build long-term relationships with dedicated volunteers and prefer those who can commit to 6.5 hours per week. If you're not available this often, but would still like to get involved, send us an email anyway. We might have the perfect project for you. 6x6 is an incredible fundraiser and huge community initiative. We're seeking energetic, friendly, and skilled individuals to help make this annual, international small art phenomenon a success! Volunteers will assist with a variety of tasks including art installation, greeting visitors, helping with artwork sales, promotion etc. We're looking for a professional and reliable individual for a year-long internship position. The ideal candidate is working toward a career in arts administration, non profit management, public relations, marketing, curation, or exhibition design. Applicants must possess solid written and verbal communication skills, work well under pressure, have excellent time management and organizational skills. Applicants should also exude maturity, have a clean and professional appearance, and excellent interpersonal skills. Interns will have the opportunity to learn about: Gallery admissions and 'front of house', general administration, artist and project research, event organizing, social media and promotions, art installation and art handling . • Internship is unpaid, college credit is offered with cooperation of school officials.